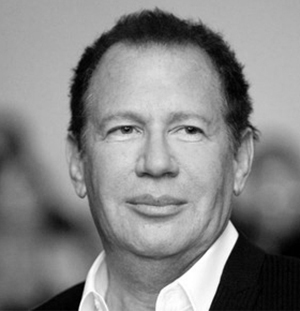 Garry Emmanuel Shandling (November 29, 1949 – March 24, 2016) was an American comedian, actor, writer, producer and director. He was best known for his work in It's Garry Shandling's Show and The Larry Sanders Show. The original Esquire article is here. I'm more handsome than I act. You're born a heterosexual. It's not a choice. Who would choose this? The guilt, the shame...and do you think I'm happy having to hire a decorator? Call me old-school, but I miss the cold war. Men who betray women also betray other men. Women shouldn't feel so special. There's a good chance that if you're talking to me when I'm snoring, it means I'm bored. I started boxing for exercise, and on the very first day, the trainer got in the ring with me and said, "Whoever controls the breathing in the ring controls the fight." I immediately passed out. I had a car accident when I was twenty-seven in which I was nearly killed. I had a vivid near-death experience that involved a voice asking, "Do you want to continue leading Garry Shandling's life?" Without thinking, I said, "Yes." Since then, I've been stuck living in the physical world while knowing, without a doubt, that there's something much more meaningful within it all. That realization is what drives my life and work. Dating a professional actress is tough. Especially if you're up for the same part. Love is not enough to save a relationship. My mother did the best she could. Sorry. Dogs are not people. Be leery of any woman who refers to her dogs as her "kids," because you'll only end up paying for their schooling. I remember when I was a struggling comic appearing for the first time in Las Vegas. Don Rickles came in to watch the new guy. Afterward, he came backstage, and I asked him if he thought I was funny. He said, "You know when you're funny. You don't have to ask." And he was right. Smoothies might be fattening. Especially the ones made with frozen yogurt and gin. Dr. Phil is hiding something. Otherwise, why wouldn't he use his last name? Everyone at a party is uncomfortable. Knowing that makes me more comfortable. Nice guys finish first. If you don't know that, then you don't know where the finish line is. The best television series ever is probably The Twilight Zone. Some people can fake it their whole lives. I never listen to the audiotapes of my shrink sessions because the audience is usually so bad, I can't tell which jokes work and which ones don't. Tom Hanks seems to know exactly what he's doing. I once saw an elaborate landscape in a gallery, drawn in pencil, that took my breath away. Then I realized the artist probably didn't have enough confidence to use a pen. A woman once asked me to autograph her T-shirt right across the chest. It only occurred to me later that she may have recognized me. Nothing can succeed and last without teamwork. I was anxious and depressed ahead of my time. I didn't need 9/11 to realize that in life, anything can happen. I've been on a state of alert since high school. Code plaid. Intellect without heart scares me. Buddha didn't get married because his wife would have said, "What, are you going to sit around like that all day?" The problem with the Pledge of Allegiance isn't the "God" part. It's the "pledge" part. Does a child know what kind of commitment he's making, and to whom, and at what cost? I'll never agree to make another list like this one.